You have to love the Ukulele Community! 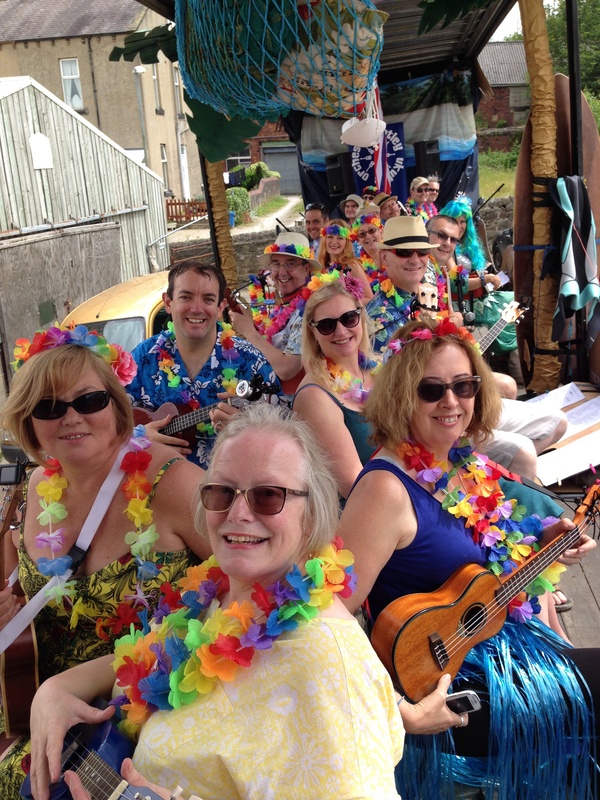 OUr Friends at Haworth put on an amazing festival every year where groups from all over Yorkshire come and play ukulele together and have fun. So we’re so happy to be a part of this!! 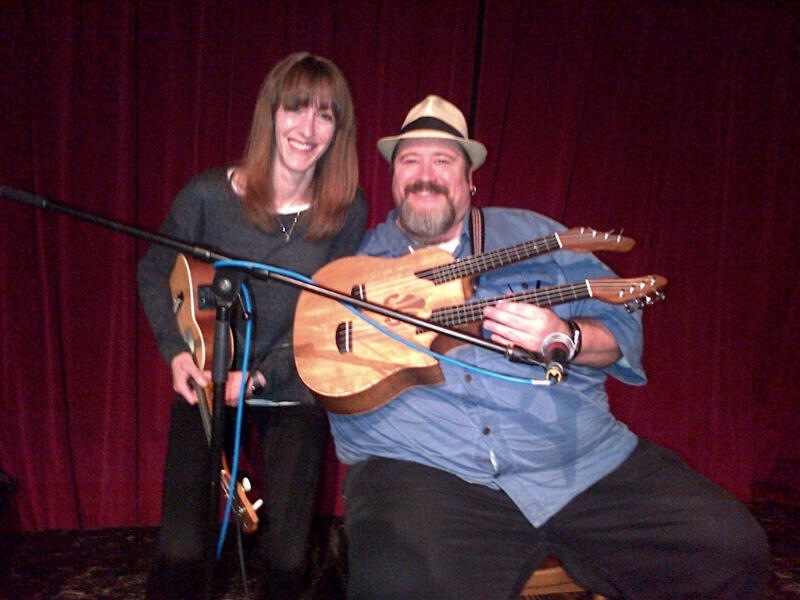 Today we’ll be playing at Haworth Ukulele Group Extravaganza, The Old School Room BD22 8DR. We’ll be on at 4pm – come and join us! 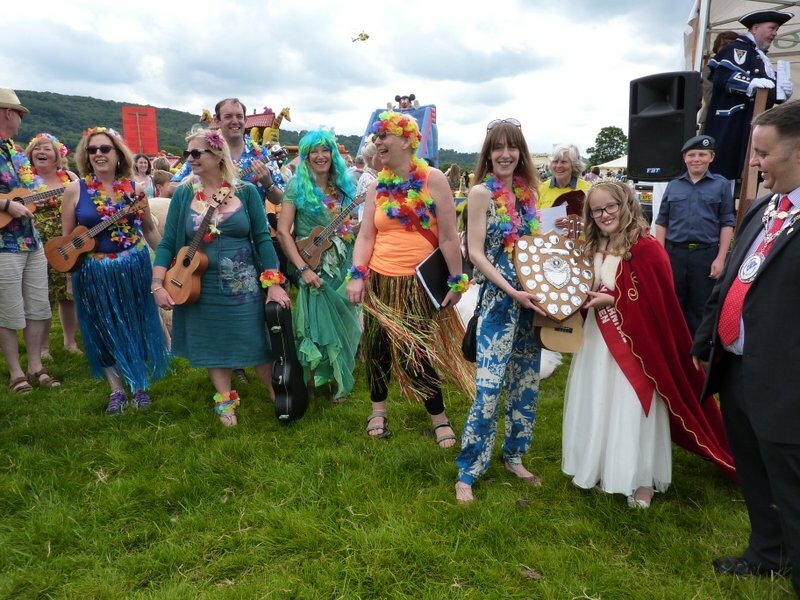 Otley Carnival & Otley Walking Festival – That was one AWESOME weekend! 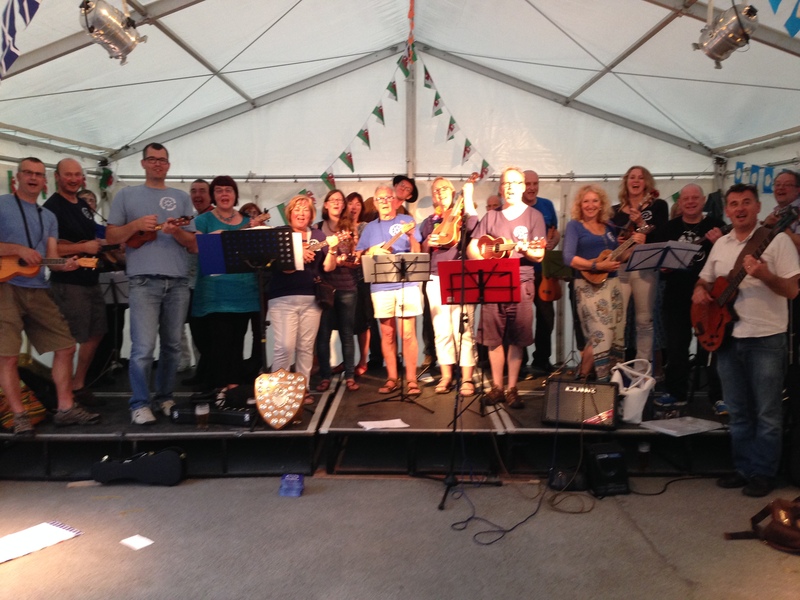 What an incredible weekend of Ukulele fun?! Saturday was the Carnival… and WE WON FIRST PRIZE in the Adult Group Category! I have to say a MASSIVE thank you to everyone who helped decorate the float, those of you who gave up your time and your homes and gardens to make, paint and create a little piece of Hawaii! I couldn’t have done it without you. And on Sunday there was the ‘Follow The Strings’ – The Walking Festival tour of our town’s wonderful pubs. We visited The Fleece, The Horse and Farrier and The White Swan – thank you to all the staff who put up with 70 + strummers and walkers who descended upon them! We raised £70 for the Walking Festival so WELL DONE EVERYONE! THANK YOU! In the second session we had a look at our Tour De France songs, which we will be performing on the 3rd and 5th of July! Here is a video of us playing Bicycle Race! Massive THANK YOU to John Christmas for filming and editing the video! I need to go and have a lie down in a dark room! 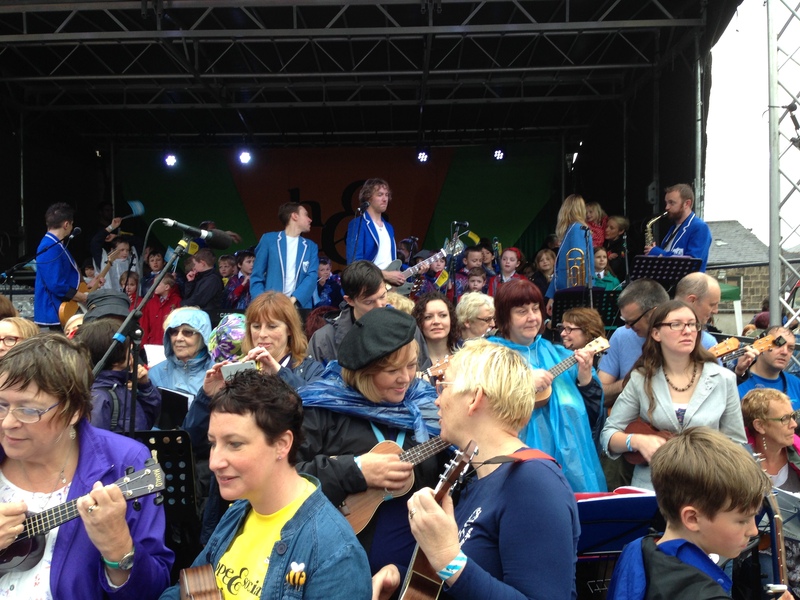 Tagged as Carnival!, community, gigs, hawaii, Otley Walking Festival, OTLEY! 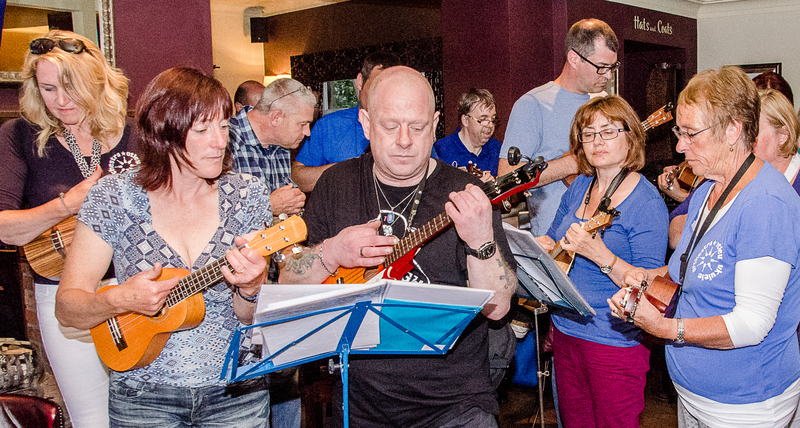 Otley Ukulele Orchestra and Roundhay Ukulele Group had a really enjoyable evening at Korks last night with Rich from Hope and Social. For those of you signed up to play on Saturday at the event, here are the links to the songs and song sheets including words and chords. If you can bring a music stand (so you can share one between 3) that would be great too. If you need anymore info then please let me know! 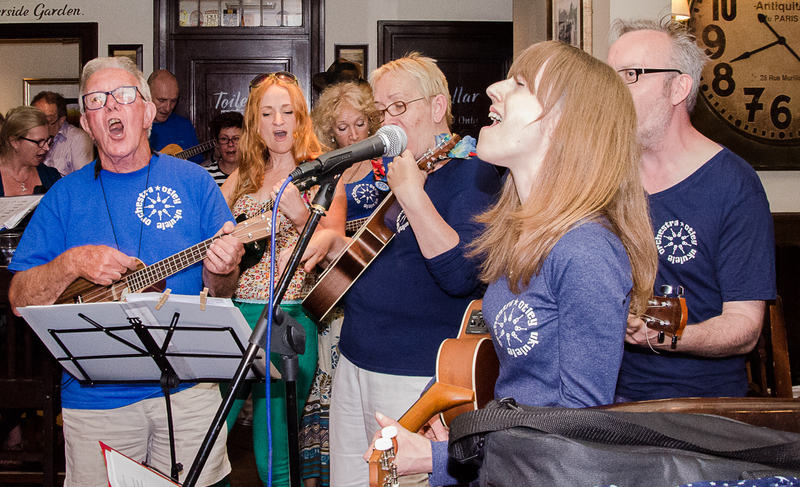 TONIGHT WE’LL BE MEETING AT KORKS, OTLEY from 7pm to learn songs for this Saturday’s Hope and Social Gig. See http://www.hopeandsocial.co.uk/tip/ for more details. 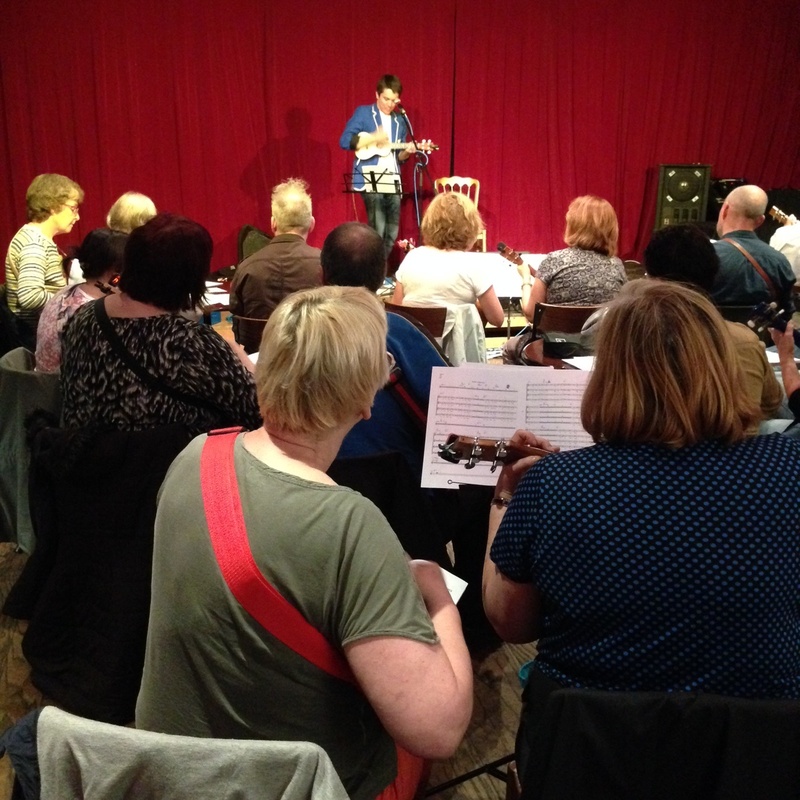 Even if you’re not planning on being at the gig – tonight will be a fun session led by Rich from the band. Hope to see you there!